The BMW Group has said that it would be investing more than 10 million euros in a campus that is devoted to additive manufacturing. The campus is located in Oberschleissheim, which is just north of Munich and will help the leading automotive major to hone its expertise in this area. According to Udo Hänle, head of production integration and pilot plant the new campus will serve as a single location to bring together the full spectrum of the group’s 3D printing expertise, thus allowing th e company to test new technologies at an early stage and refine them further. Jens Ertel, Head of the BMW Group’s additive manufacturing centre and the future campus director, added that the team at the new campus will evaluate new and existing technologies in both plastics and metals printing and develop them to series maturity. The staff at the new facility will primarily focus on parts manufacturing for prototype construction, series production and customized solutions. The campus will also serve as a facility for interdisciplinary training and as a project area. The location already has a building that covers over 6,000 square meters, and can accommodate up to 80 associates and over 30 industrial systems for metals and plastics. It is expected to become operational by early 2019. BMW recently used additive manufacturing to generate parts for the BMW i8 Roadster, thus becoming the first car manufacturer to 3D-print a production run of several thousand metal parts. The component in question is a fixture in the tonneau cover for the soft-top and was lighter than its injection-moulded counterpart but was notably more rigid. Its ‘bionic’ geometry, inspired by forms found in nature, was optimised for 3D printing purposes. 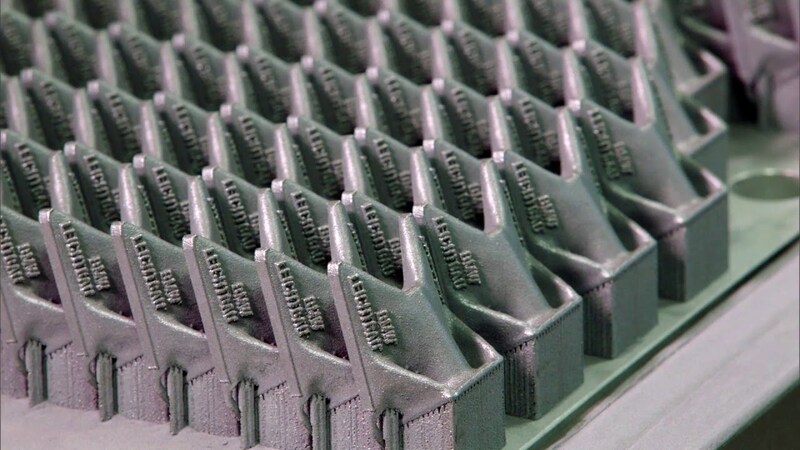 Additive manufacturing has also become more viable for customized components. The new MINI Yours Customised programme, for example, allows customers to design certain components themselves and using 3 D technology makes it easy to produce indicator inlays and dashboard trim strips to their precise specifications.